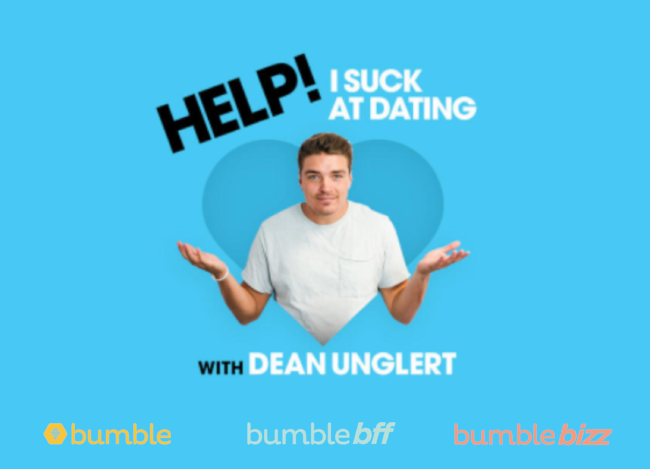 Dean went from being America's sweetheart on The Bachelorette to a dating disaster on Bachelor in Paradise. Hey, it can happen to anyone. On Bumble, women make the first move - putting all the power (and a little pressure) back in her hands. First time trying out Bumble? Welcome to the Hive! With over 20 million registered users, Bumble has facilitated over 350 million women-led first moves and had more than 3 billion messages sent. We designed Bumble to be a platform that encourages positive, impactful interactions in love, friendship, and now business (Android coming soon). - Best ways to make the first move on Bumble. - In a new city? Use Bumble BFF to find friends! Here are the best first BFF date ideas.